Sold by Aplus service and Fulfilled by Amazon. Gift-wrap available. BRAND NEW SEALED IN STOCK SAME DAY SHIPPING !! Sold by Aplus service and ships from Amazon Fulfillment. The ROKU is new, unopened in the factory packed box. Any warranty that comes with it is Manufacturer warranty applicable for the product. The seller does not provide any warranties, implied or expressed. If the buyer is not satisfied with the product for any reason, it can be returned for 14 days from the delivery date. The product should be returned in the same condition with all accessories supplied, in the original packaging. If the product is returned damaged or with missing accessories, or not in the condition in which it was shipped, a fee will be deducted accordingly from Refund. The FULL Refund is the purchase price of the product. Refund does not include shipping & packaging fees. 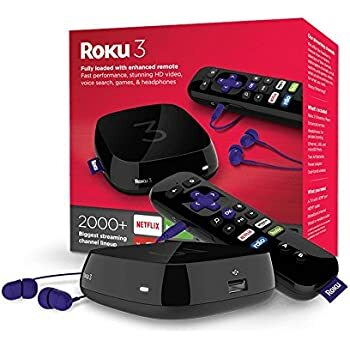 I bought the Roku 3 because I needed one with an HDMI port. 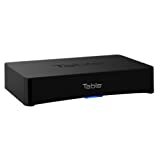 We were using the Roku stick, which was fine, but we were unable to use our sound bar with the stick. 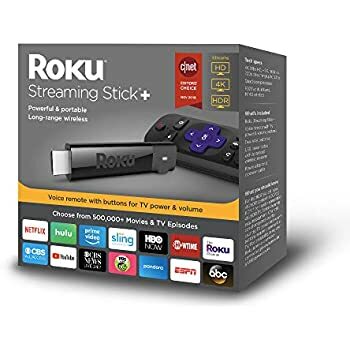 The 3 seems to work better, in that it is faster, and the remote is much better than the remote that was provided with the stick, which didn't work 50% of the time & had to be reset regularly. 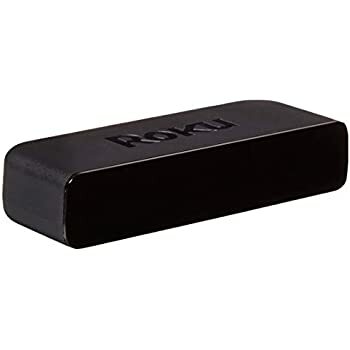 I had to look up how to properly hook up my soundbar, Roku 3, and TV. Thank goodness for Google! Once I read the proper way to set it up. Basically, the HDMI in on the soundbar hooks into the Roku & the HDMI out hooks into the TV. That's it! Easy peasy! 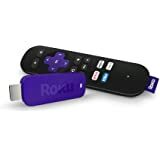 I would recommend the Roku 3 over the Roku stick. We used the stick for over a year & encountered quite a few headaches with it. We've been using the 3 for a good month now & we've been extremely pleased. 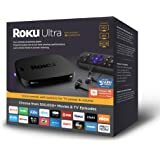 I installed an antenna in my attic and receiving 66 channels the Roku 3 enables me to secure programing you normally get vis cable or satellite. 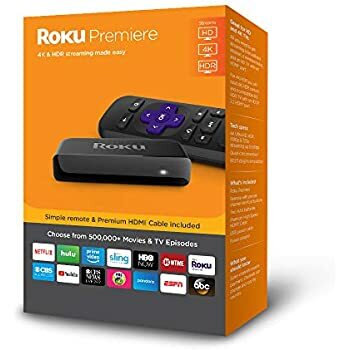 I love sports and vis the Roku 3 I am able to get several ESPN channels, Fox sports, regional Fox sports, NFL, and many more via Sling TV. My dish cost was $159.00 and now pay $50.00 a month. I am a happy camper. 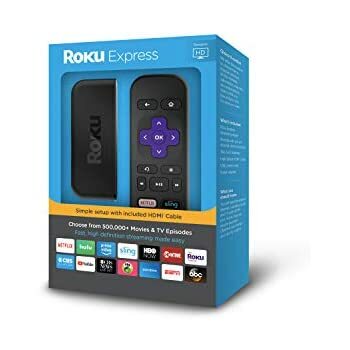 I already have the Roku 2, but did not like the load times it was giving me , so I upgraded to the Roku 3. And at first I was disappointed. When connected wireless it was even slower than my Roku 2 and was only about 5 feet from my router. I ran a cat6 cable from my router to it and wow, it's so fast. 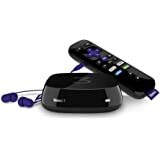 I love the Roku products and being able to cut the cord from cable and save some cash is always a good thing. 5.0 out of 5 starsMore Entertaining Than Cable TV! 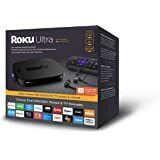 Using Roku 3 is so much better than having cable television! 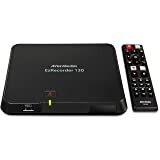 I never have watched much tv and having over a thousand stations to choose from with cable tv and hardly ever watching programs on an average of 4 cable tv stations was not worth the price of the monthly cable bill. 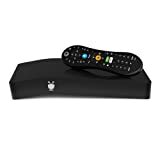 I cancelled the cable television and ordered a View TV antenna and the Roku 3. 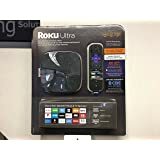 I've found myself watching more programs now than I ever did with cable television and the Roku 3 and View TV antenna is saving me so much more a month than paying for cable tv! The Roku 3 and View TV antenna work great together and are more entertaining than cale tv! I love it. I'd give it five stars, but I had to return the whole system to get a new replacement because of problems with the remote. Everything is great now, and there are a lot of free channels, and a lot you have to subscribe to, either through the Roku Channel Store, or if you're still using your cable TV, you can subscribe it. The remote is very good . 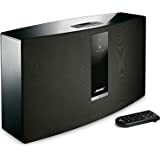 . . you can give voice commands to the main device, listen with your headset (controlling the audio level with the remote.) Image quality is quite good (I use 1080 levels), better in some cases than cable). It takes about 15-20 minutes to set up and begin to use. 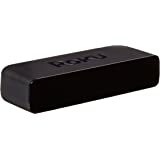 I heartily recommend the Roku-3 (I got mine for $90.00 through Amazon. That does not include an HDMI cable. Get the high speed cable). Can't speak for any other of their models; they're all different. 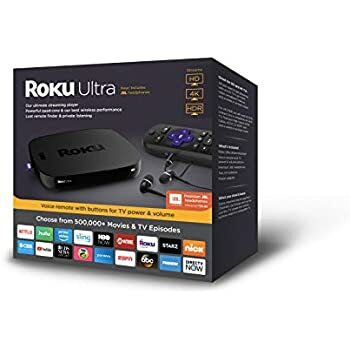 Let me put it this way: I haven't been hooked up to the cable since I got the Roku, and I'm probably going to "cut the cable" soon. I'll have to see in what ways Comcast tries to screw me, since I'll still need the "high speed" internet, which the Roku hooks up to wirelessly. I love my Roku! My friend recommended me for a long time but I didn't think I would need it. That changed when I gave up my cable. Why didn't I switched to Roku when she told me about this? Silly me! I have one and got one for my sister-in law. 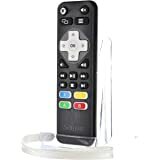 My hubby had a Chrome stick which didn't come with a remote and it was a pain to use because he had no idea how to use the remote feature on his cell phone. And my cell has been maxed out its memory so I couldn't download its remote feature. Meaning, if he's gone, I couldn't watch my Netflix or Youtube. So I got him this. I got this voice activating version, thinking he could just say a title of his favorite TV show and it would come up. I was wrong. It only works when you're on the main menu. But since we switched to Roku, he never have to type anything to search but just scroll the remote. We are SUPER HAPPY! 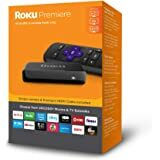 I found the Roku to be very easy to set up and use. 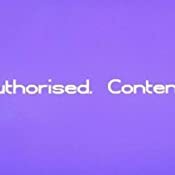 Setting up an account is easy, as is adding channels. Once you set your pin number for a channel, it remembers it so you don't have to log in every time. I like that it gives you the option of resuming where you left off on a show. I've signed up for netflix, hulu, and amazon prime trials so far to see how I like them. The remote is simple, and it might sound silly, but I like the fact that it comes stock with Duracell AA batteries, and not something like Xianghu powercell corp which always seem to be just a little disappointing in life expectancy. 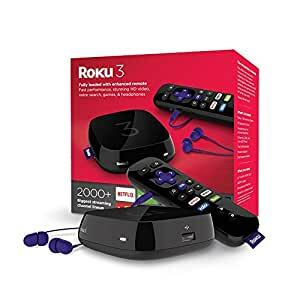 I have the roku communicating with my router via wifi. I was afraid I was going to need to run an ethernet cable across the room, but it wasn't necessary. I have it set for 1080 resolution, and images are crystal clear on a 42" flat screen. It takes a little bit to get the "big picture" of how channels display their shows, but you catch on quick. I'm now in the process of adding channels, and finding out which ones I want to add. As odd as it sounds, when I leave the room, I still find myself concerned that I'll miss a good scene, forgetting sometimes that I have the option of pausing the show. That's what years of being conditioned on regular tv programming will do I suppose. I just wish I had bought ones of these a while back.